Whether building is your trade, or you’re just a bit of a DIY guru, you’ll be no stranger to the trials and tribulations of sorting out a skip to get rid of all your builders waste. More often than not, a permit is needed and making your way through endless council red tape can be as frustrating as it is time consuming. It makes sense, therefore, to give Away With It a call and make use of our same day Builders Waste Clearance Service, saving you time, money and a bucket-load of stress. With summer well and truly upon us, now is the perfect time to capitalize and get started on those long awaited home improvements. 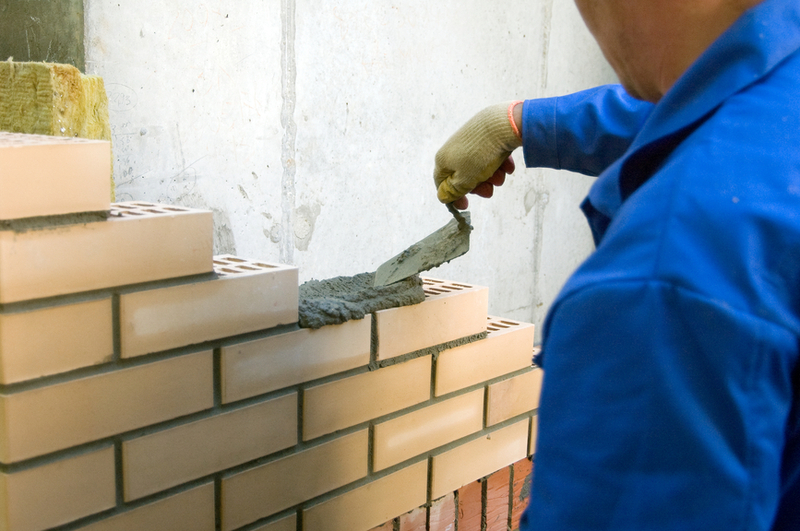 The construction industry is booming, with 6,000 new workers joining the trade in May alone. This is due in part to the upturn in the economy, but also simply because the dry summer weather makes construction a whole lot easier. Everywhere you look, home improvements are taking place, but in this increasingly image-conscious world, getting a skip for all your builders waste is not always an easy task. Particularly in Essex and East London, the rental market is booming. The average cost of renting a 1 bedroom flat in Hackney is now £1,235 pcm, while renting in previously unfashionable Newham will still set you back an average of £889 pcm. Landlords are taking note of these figures, keen to make their properties stand out and capitalize on this rental boom. For a relatively small initial outlay, landlords can add huge rental value to their properties simply by ripping out tired and battered kitchens and bathrooms and going for a fresh look. It’s not just the rental market that’s thriving either. Property prices in East London especially have been experiencing a meteoric rise, with Walthamstow showing the fastest in the whole of the UK. With family homes in Walthamstow Village now fetching close to £900,000, it is clear we are dealing with an inflated market. If you are looking to cash in and sell up, it is imperative to get as much value as possible out of your property. Like the rental market, the potential gains from a relatively small initial investment are huge, and with property prices only going one way, there has never been a better time to refresh your home. Even if none of this really for you and you’re simply making the most of summer to catch up with some much needed bits of DIY, do not fear! No job is too big or too small, and we remove everything from rubble and soil to cables and wires. 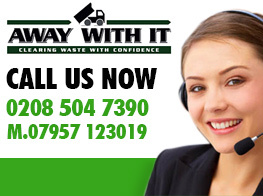 Away With It’s Builders Waste Removal Service is more cost effective than a skip, it saves you the time consuming task of trying to sort out and dispose of your waste yourself. Not only do we do all the hard work for you, 80% of the waste we collect is recycled, making our service not only more efficient than skip hire, but also better for your peace of mind!